There are several different jobs under the heading of heavy machinery operator. Let’s discuss the job descriptions, salaries and education required of each position. The first job is a mine cutting and channeling machine operator. This occupation involves using machinery to make and secure mine shafts. It also involves maintaining and repairing these machines. The average yearly salary for mine cutting machine operator is $42,000. Growth of this job is expected to be slow with only 2,000 openings in the next 8 years. The level of education needed is a high school diploma and training on the machinery. Another job operating heavy machinery is a construction equipment operator. 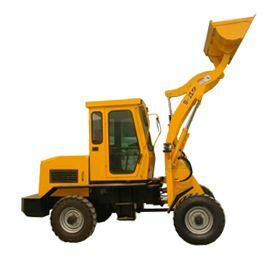 This occupation involves operating construction equipment such as bulldozers and front end loaders. Similar to mine cutting and channeling machine operators, this job may entail maintenance and repair of the equipment. The median salary for this occupation is $39,000 a year. There are a projected 118,000 job openings expected until 2018. Education requirements for this job are a high school diploma, although training on the various equipment and mechanical knowledge is necessary. If you want more advanced work and higher salaries, crane operator jobs also deal with construction. Another job category is an industrial truck and tractor operator. A person with this occupation would use forklifts or other machinery to transport materials throughout a work site. An industrial truck and tractor operator earns an average of $29,000 a year and there are a projected 198,000 job openings in the next 8 years. Most people employed in this job have a high school diploma and training on the machinery they are using. An excavating and loading machine and dragline operator operates scoops and other machinery to move materials such as loose soil. This category also includes logging machinery. People in this occupation may also be required to maintain and repair the equipment. The average salary in this occupation is $35,000 annually. There are an expected 28,000 job openings over the next 8 years. Then majority of people who work in this area have a high school diploma. Yet another heavy machinery operator job category is paving, surfacing and tamping equipment operators. These jobs involve laying down roads, parking lots and airport runways. The average salary for this occupation is $33,000 a year. There are a projected 17,000 job openings until 2018. Most people in this occupation had a high school diploma. Besides these occupations, some heavy machinery, such as tractors and such are operated on family farms. The cost of education for all these heavy machinery operator jobs is minimal, since a high school diploma is all that is recommended.